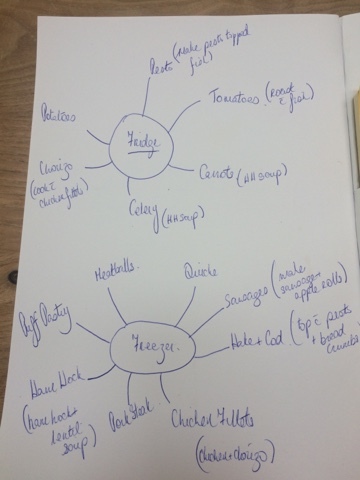 There was no meal plan last week as the children were away for a few days, back to normality today and here’s what we will be eating this week. The usual rummage through the fridge and freezer revealed the following and from this the meal plan develops. I try to include a new dish every two weeks or so but sometimes it doesn’t work out. This week I’m trying a new version of a dish that we used to have frequently but fell out of favour a year or two ago, here’s hoping that it’s a hit this week. The drop in temperatures means that comfort food is back on the menu again and today we will be having Irish Stew. It’s actually a long time since I made this so I’m really looking forward to it. This is the busiest day with after school activities so a quick dinner is required. This Chicken and Chorizo with spaghetti fits the bill. I will make a treble batch of this today and freeze two portions of it. This Beef Stroggenoff from Neven Maguire, with rice, I haven’t made this version before so hopefully it will be a hit. Sticky pork stir fry with noodles ( or fried rice if there is a lot left over from the day before) I usually marinade pork fillet when I buy it and pop it in the freezer, it results in the tenderest meat ever! I will also be making Ham Hock and Lentil Soup, which is delicious and so filling, I found puff pastry in the freezer so will make some sausage and apple rolls for after school and I’m planning on making a batch of egg muffins to have for breakfast. A girl I follow on Instagram sent me the recipe for a delicious sounding Chicken Pie which I’m hoping to make over the weekend. 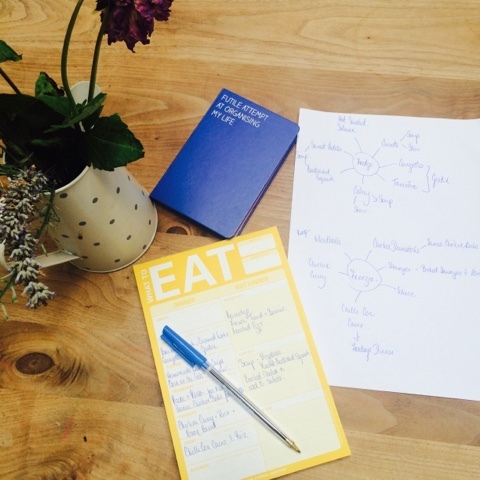 So that’s the plan, please feel free to share what you will be cooking this week, I’m always on the lookout for inspiration.